A spate of new members gives this year’s Upper Valley Art League, or UVAL, exhibition a robust edge. Unlike the annual members show a couple of months ago, this exhibit is well organized and offers a pleasurable viewing experience. Works are generally arranged according to subject, allowing the exhibition to flow comfortably from work to work, but even the art itself seems more interesting as there are unexpected individual revelations from some of the artists as well as interesting clusters of works from UVAL’s workshops. 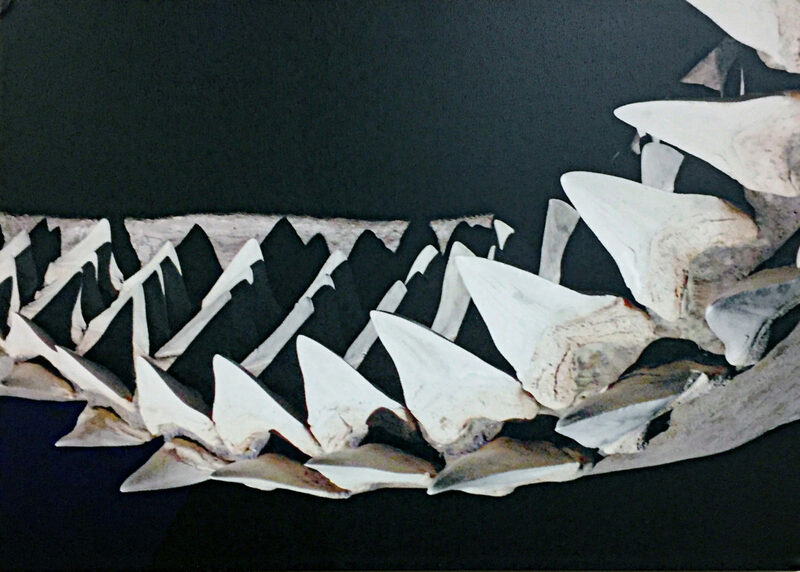 Among the works produced from a workshop using triangular shapes is a dramatic piece, “Sharks Teeth (triangle),” by Chris Mari Van Dyck. Images of shark teeth forming a diagonal jaw-line confront us in this digital photographic work, their strength and power permeating the black and white space. The expected overall tone of the exhibit is one of conservative approaches and traditional subject matter. But the departures from this norm on the part of a few of the artists did not act as incompatible bursts of defiance, but rather added an invigorating spice to the overall flavor. Surprises occurred beginning with Van Dyck’s several social protest pieces. 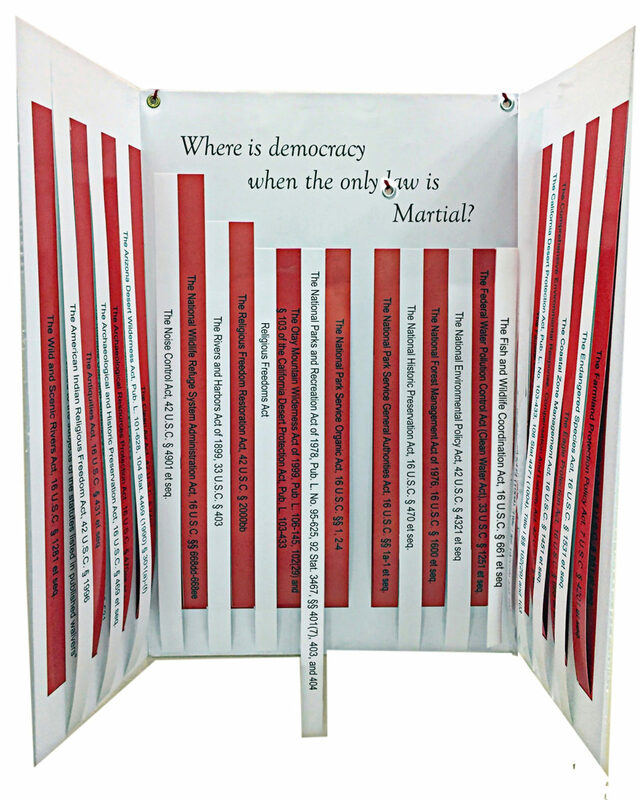 “Laws Waivered to Build Border Wall” shows rows of red and white stripes, reflecting the design of the United States flag, with each one stating a waivered law. Not only does it speak to the viewer, it shouts. 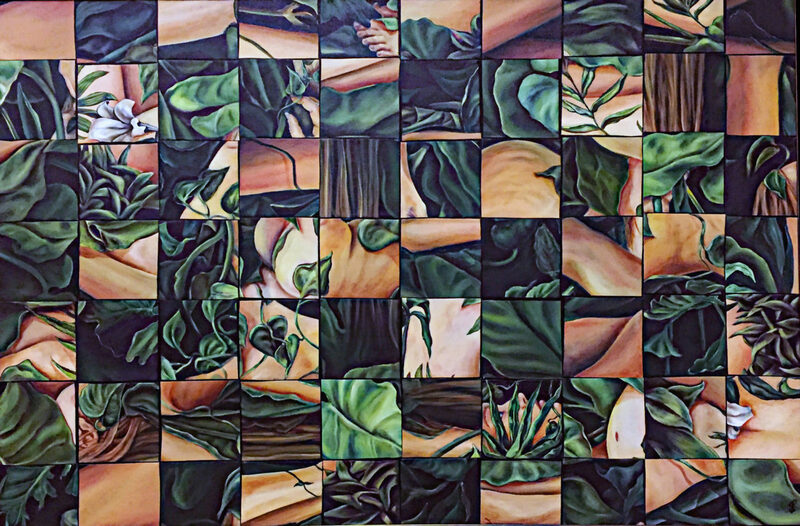 Another painting by Graf, “Reconfigured Woman,” expresses a similar manipulated approach. 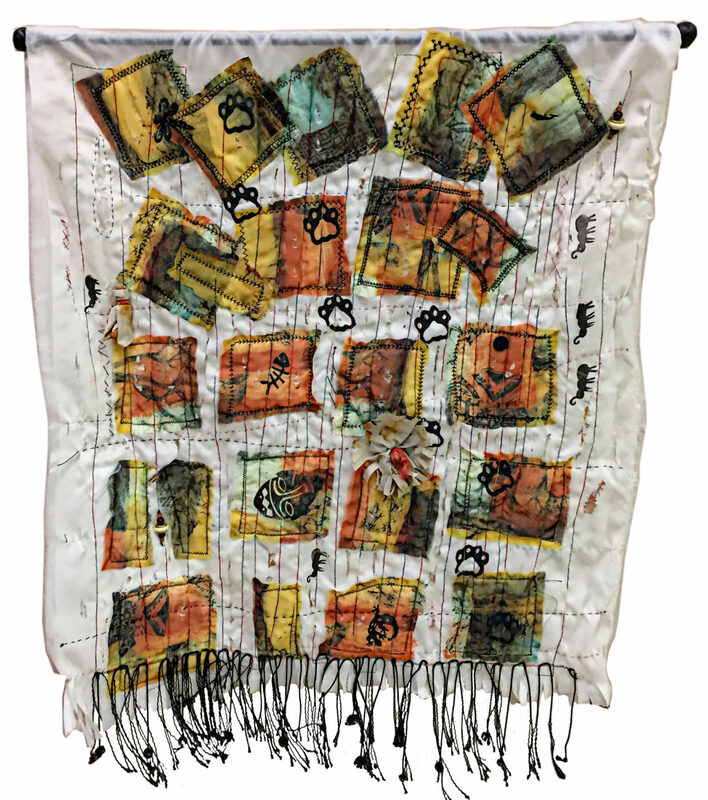 Fran Wessel’s fiber work, “Animal Tracks,” is an unusual quilted design demonstrating a lighthearted use of square shapes with scattered paw prints and images of other creatures. 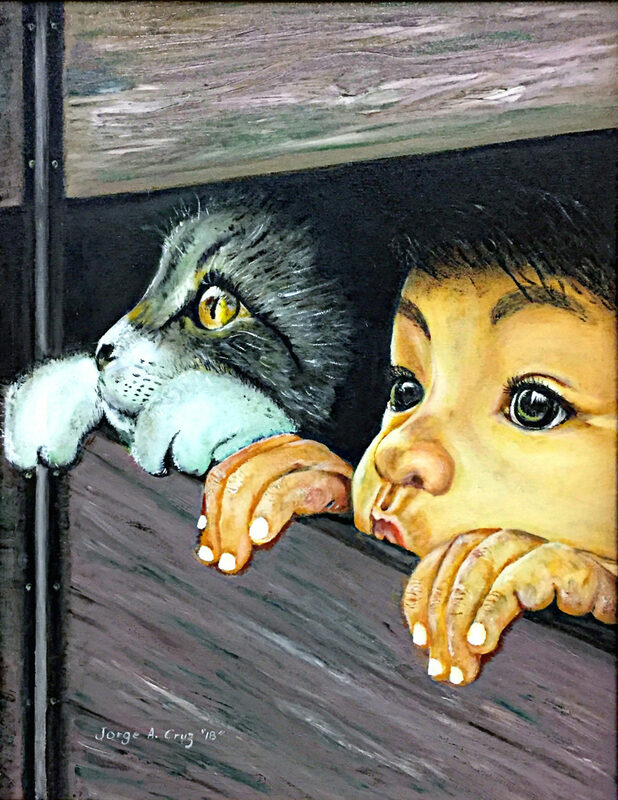 There were several very good traditional works that focused on children or pets, and to my mind the best of that group was “Best Friends” by Jorge A. Cruz. Sure, it drips with sentimentality, but succeeds through its unique composition and Cruz’s painting skills. 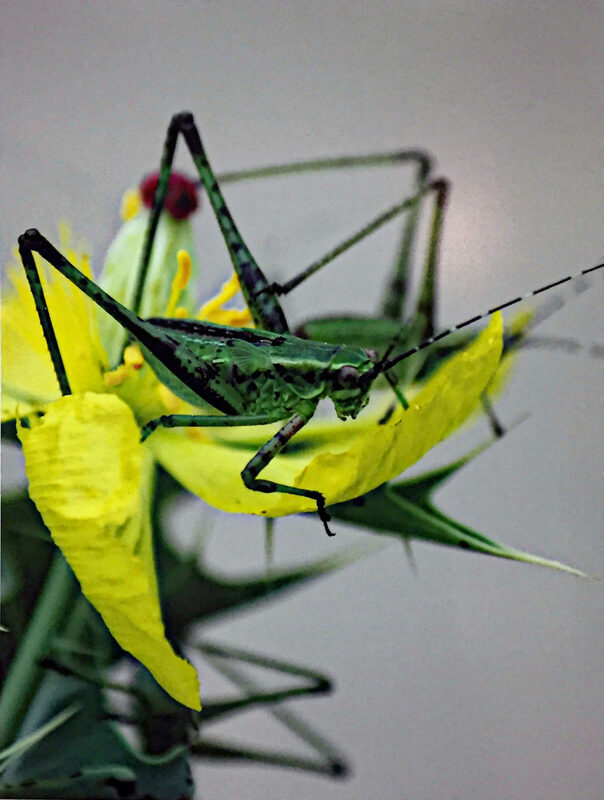 There were also the expected wildlife works, and while noble or popular bird species and colorful insects are the usual suspects, Mujtaba H Naqvi’s “Native 5” is a stunningly beautiful capture of grasshoppers. In Naqvi’s photograph, the insects’ legs create a unifying network of triangles as they feed on a native plant. With more than one object in this image, a sensitive focal point adds an impressive aesthetic to the picture. 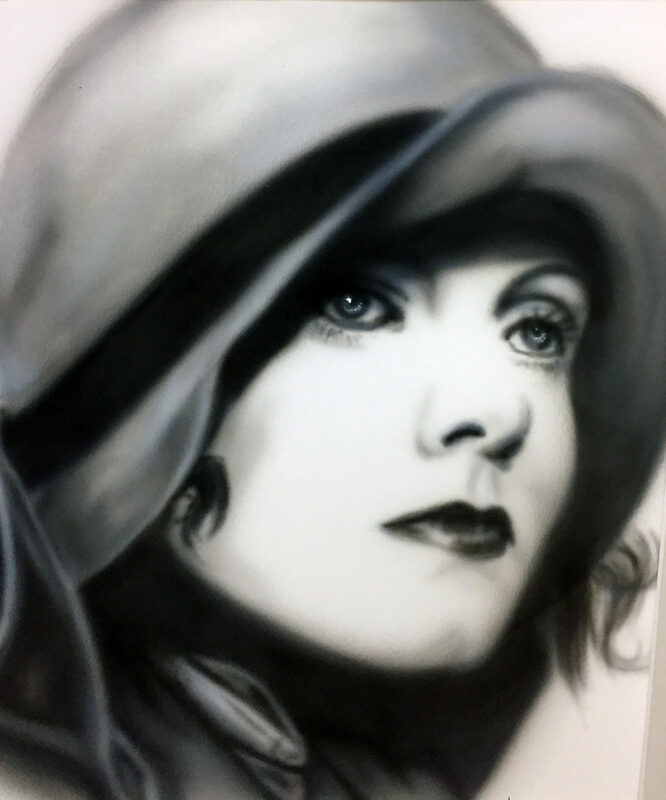 Across the gallery, this play of focus reappears in a series of beautifully executed achromatic airbrush drawings by Pete Krystiniac, reflecting visions of feminine beauty of past decades. This member’s exhibit was long on paintings, watercolors and a few ceramics, but did not feature any sculptures. However, the overall diversity of personal approaches and the general quality of this exhibition compensate for any shortcomings and make this show a stimulating visit. Nancy Moyer, a professor emerita of art at the University of Texas Rio Grande Valley, is an art critic for The Monitor. She may be reached at nmoyer@rgv.rr.com.